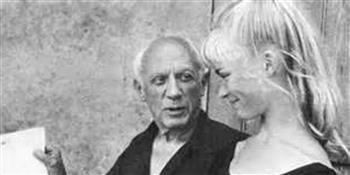 Meet Sylvette, the girl who, through their chance meeting, inspired Picasso to create over 60 images of her over time. Sylvette, now Lydia Corbett, is a painter and ceramicist in her own right and is launching her new book ‘I Was Sylvette’, co-written with her daughter Isabel Coulton. She will show a short film and answer questions on her exciting and unusual life. A preview of the book can be found at www.sylvettedavid-lydiacorbett.com on the book page.